This ambidextrous holster lets you choose how you want to use it on a daily basis. Wear it as a belt holster on either right or left side through the unique injection molded belt loops that also act as a cover for the reversible retention strap and thumb break. You can also wear it as an insidethepants holster with the spring steel removable clip that secures it to your waistband. Extra strength injection molded belt loops will accept belts up to 1.75 when wearing it in the traditional vertical position. 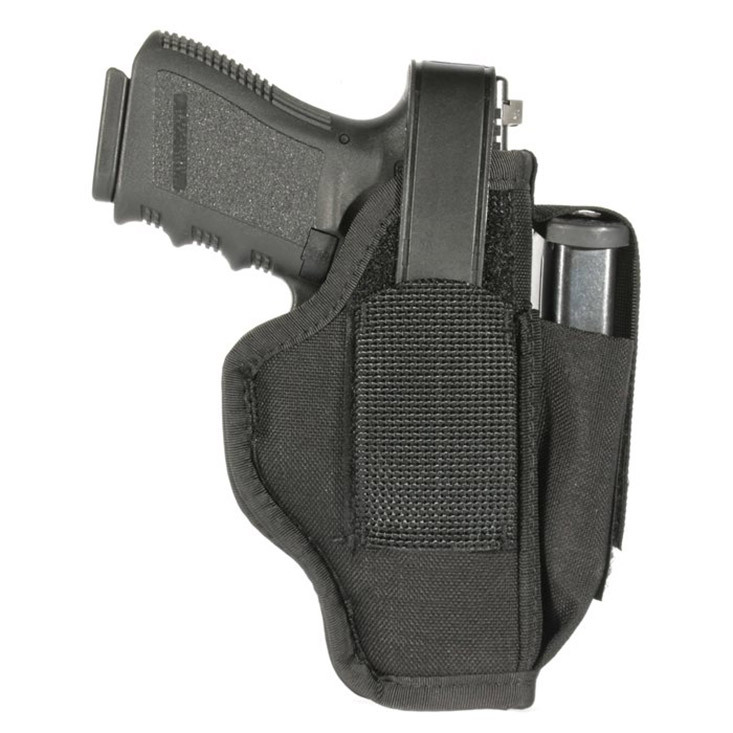 Fits dress belts up to 1.5" when worn horizontally as a middle of the back holster. Adjustable pouch mounted to the front of the holster lets you keep a spare magazine or illumination tool with the gun."